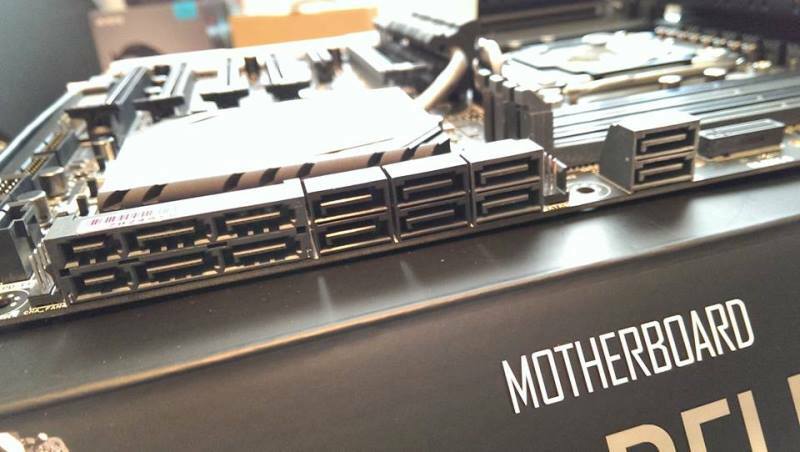 Behold the new Asus X99 Deluxe motherboard featuring a very nice and refreshing Black with White accent color theme. 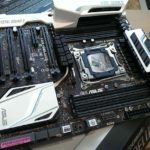 It’s good to see that Asus implemented a new color theme and they didn’t follow the Black-Champaign Gold theme that we saw on their 9 series motherboards. 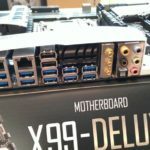 The Asus X99 Deluxe is the successor of the X79 motherboard, built and designed for the latest Intel Haswell-E processors, featuring a new LGA2011-v3 socket, and the next generation DDR4 memory modules. 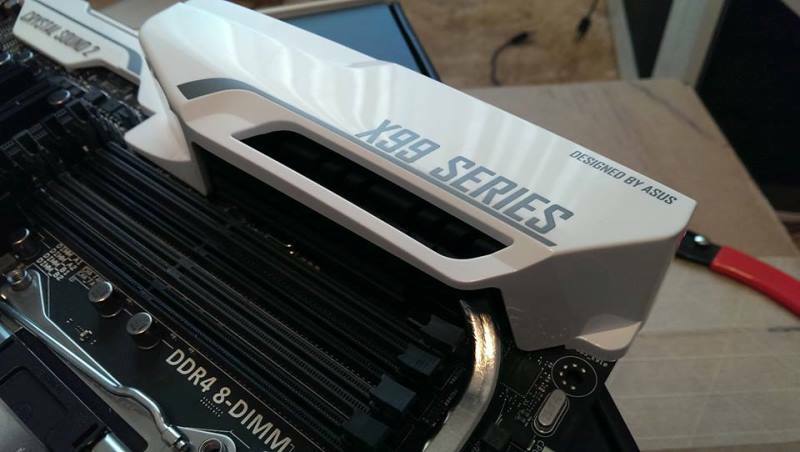 Like the Z97 series, it also features SATA Express ports, M.2 PCIE port for NGFF SSD, 5-way optimization, and more. Check out more details below. 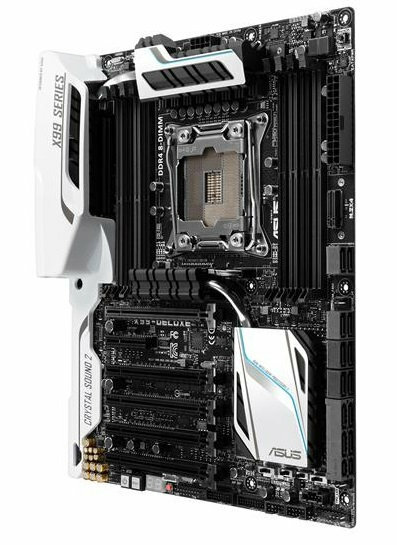 What made me really excited about the Asus X99 Deluxe is its very attractive Black-White color theme. See live photos below. UPDATE: Price and where to buy added below. 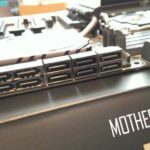 The Asus X99 Deluxe motherboard features an LGA2011-3 socket that will support the upcoming 22nm Intel Core i7 Haswell-E processors. It is based on the Intel X99 Express Chipset and features 8x DIMM slots supporting quad channel memory and up to 64GB in capacity. 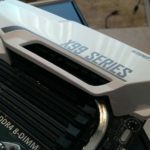 It has 5x PCIE 3.0 x16 slots and one PCIE x4 slot, and supports NVIDIA 3-way/Quad-GPU SLI or CrossFireX multiple GPU configurations. For storage, it has 8x SATA III 6 Gbps ports, 1x M.2 x4 socket with vertical M key design and 2x SATA Express port. It supports RAID 0, 1, 5 and 10 with Intel Rapid Storage Technology via the Intel X99 Express chipset. 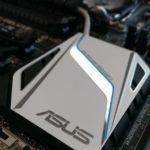 On the rear I/O ports of the Asus X99 Deluxe, it features a BIOS flashback button, two Intel Gigabit LAN ports, 10x USB 3.0 ports and 2x USB 2.0 ports, audio ports and a WiFi 802.11 a/b/g/n/ac with Bluetooth 4.0 antenna connector (WiFi-GO!). 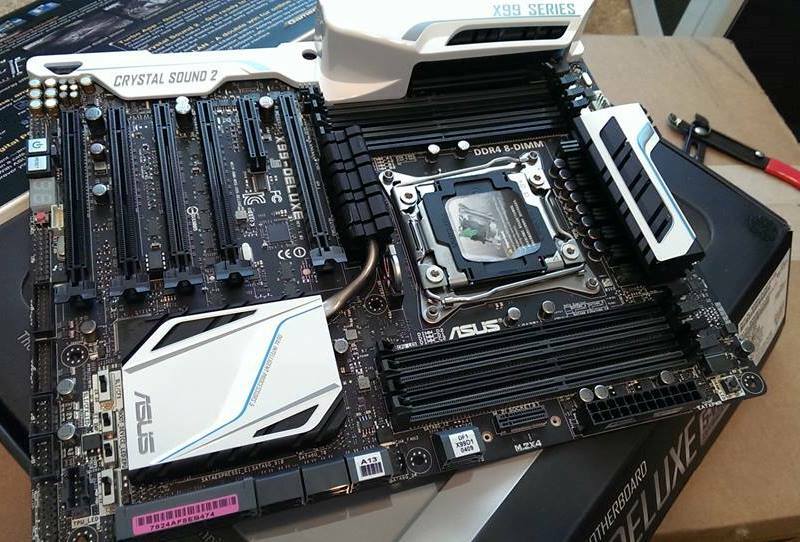 The Asus X99 Deluxe also features Realtek ALC1150 8-channel featuring Crystal Sound 2 audio core. Other specifications are pretty much the same with what you see on an Asus Z97 Deluxe motherboard. 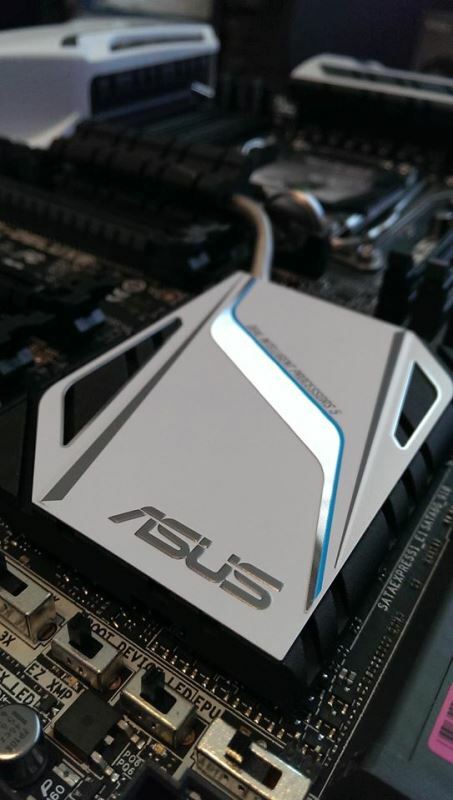 Like its Z97 counterpart, the Asus X99 Deluxe also features Dual Intelligent Processor 5 with 5-way optimization, DiGi+ Power control, TPU, EPU, Asus new UEFI BIOS and many more. 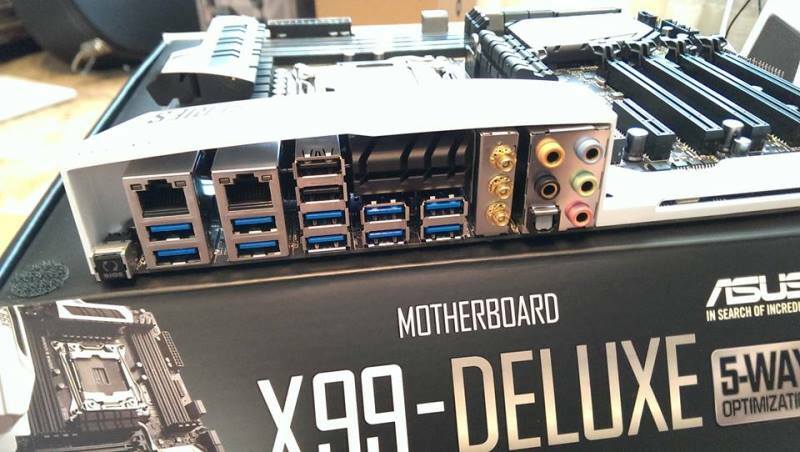 Below are some real photos of the Asus X99 Deluxe motherboard courtesy of Jason Evangelho, Forbes Tech. Click image for larger view. 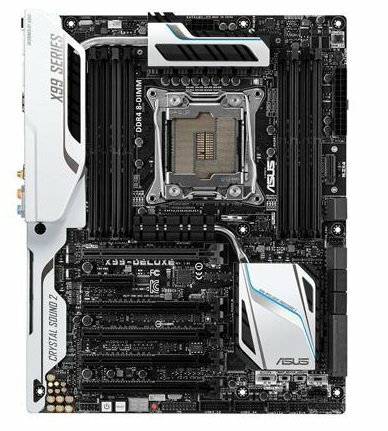 The Asus X99 Deluxe is now available with a current retail price of $373.99 with free shipping here.